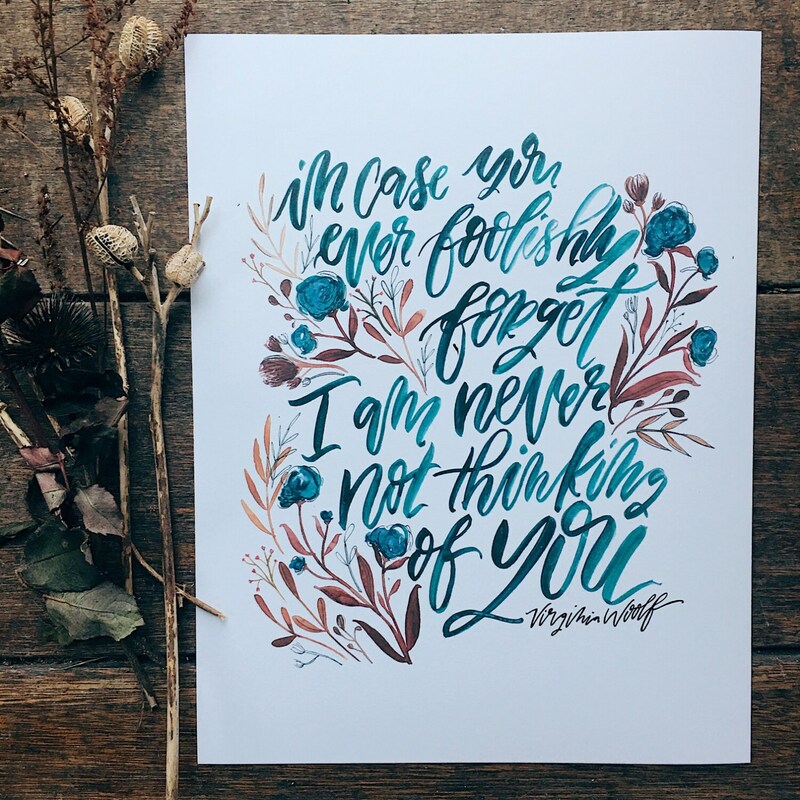 This lovely hand lettered watercolor is a print of my original work featuring a quote by Virginia Woolf that reads, "In case you ever foolishly forget, I am never not thinking of you." The perfect gift to celebrate your love! 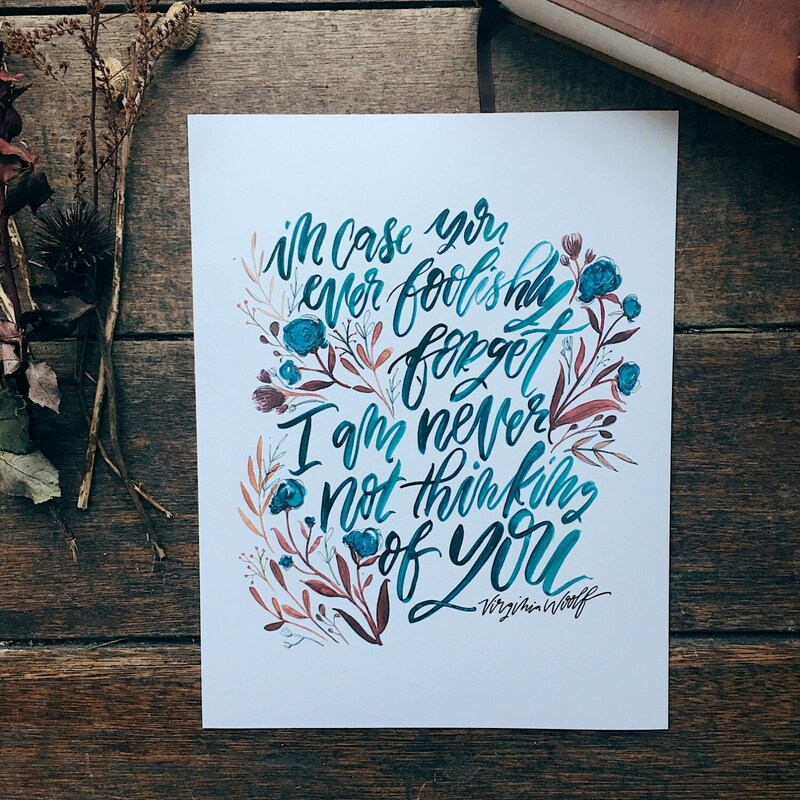 Professionally scanned and printed at my local print shop on super luxe heavy weight paper. Packaged and shipped in a branded rigid mailer to ensure your fine art print arrives in beautiful and pristine condition.